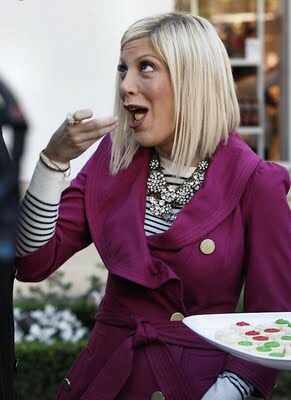 Apparently, there is something going on with these little colored cookies and Tori has had plenty of them. This reminds us of when she got drunk at the Prom in Beverly Hills 90210. Whooa, slow down Tori, do you even know what's in those cookies? Posted in A list pounders, actress pounders, What Are They Pounding?, What did they pound?